A summary of the most relevant investments, acquisitions and news of the Spanish startup ecosystem in the firs half of 2015. Since August is just around a corner and most people go away for a few days, we thought it would an appropriate time to take a look at what has happened in the first half of the year in Spain. If today’s investment pace continues, 2015 most likely will be a record year in the young history of the Spanish startup ecosystem. According to Venture Watch (report), local technology companies raised €200 million in the first six months of the year. This represents 62% and 80% of all equity investments in 2014 and 2013, respectively. In H1 2014 the total amount was €85 million, so we’ve seen a 134% increase in investment activity. What’s also interesting is the fact that the number of deals (91 vs. 71), average round size (€33m vs. €14m) and median round sizes (€23m vs. €13m) have increased significantly. This analysis from Venture Watch (VW) doesn’t include Wallapop’s €100 million round led by Fidelity, which apparently has been confirmed by the firm itself but not by the company. Had the deal been fully confirmed, the aforementioned growth figures would have been much higher. VW did include in its report Olapic, the online marketing startup co-founded by two Spaniards but based in New York City. It’s worth remembering that, although these numbers and percentage increments might seem high, they’re still relatively small compared to other ecosystems like the UK, Germany, France or the Nordics. These were the 10 largest investment rounds of the first six months of the year. Wallapop: $40 million round led by Insight Venture Partners and Accel Partners. Jobandtalent: €23 million from Pelayo Cortina Koplowitz, Qualitas Equity Partners, FJME and Kibo Ventures. peerTransfer: $22 million, led by Bain Capital Ventures. Digital Origin: €15 million from Prime Ventures. Olapic: $15 million from Felix Capital, Longworth Venture Partners, Fung Capital USA and Unilever Ventures. 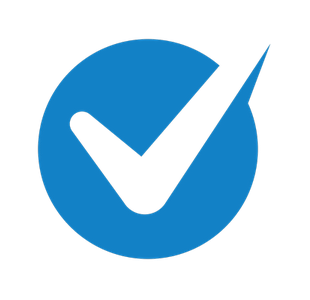 Kantox: $11 million from IdInvest Partners and Partech. 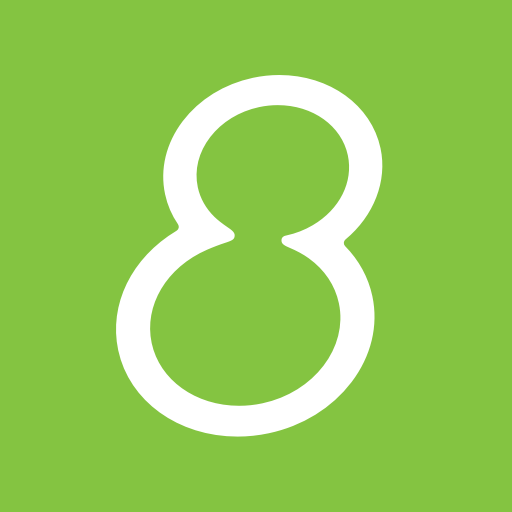 Beabloo: €10 million from SoftBank. Fever: $8.3 million from Accel Partners and Fidelity. Ulabox: €5 million from Sonae. 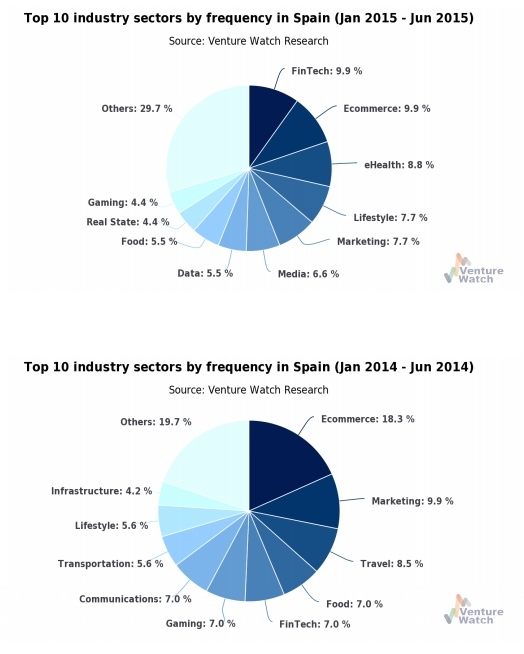 For a long time, the Spanish tech sector that attracted most investment was ecommerce. In part due to the nature of the ecosystem and also because there were not many VCs and business angels willing to invest in other riskier and capital intensive industries. This is slowly changing, and these days there are a significant number of entrepreneurs building SaaS, fintech or pure software startups and investors backing these ventures. Fintech serves as an example. In the first half of 2015, startups in the financial services sector received almost 10% of all euros invested in Spain. 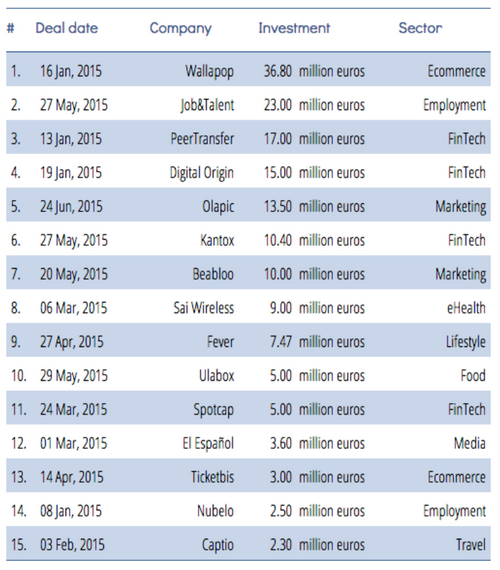 3 of the top-6 rounds in H1 2015 were fintech (Kantox, peerTransfer, Digital Origin). Prosper: $165 million Series D.
Coinbase: $75 million Series C.
BBVA Ventures, which is based in San Francisco, is also considering opening an office in London, according to Financial News. Although BBVA is considered by many as one of the most forward thinking banks in the world when it comes to tech and startups, Santander has also made significant changes lately that point to a much bigger interest in the sector. It launched a €24 million incubator for startups along with Monitise. The story of Monitise and Santander is also an interesting one, full of controversy. Through its venture arm InnoVentures Fund, Santander invested $5 million in MyCheck. It also invested in Cyanogen. Besides the two largest banks in the country, others like Banco Sabadell or Bankinter were also quite active in H1 2015, mostly with the BStartup10 accelerator program and direct investments, respectively. 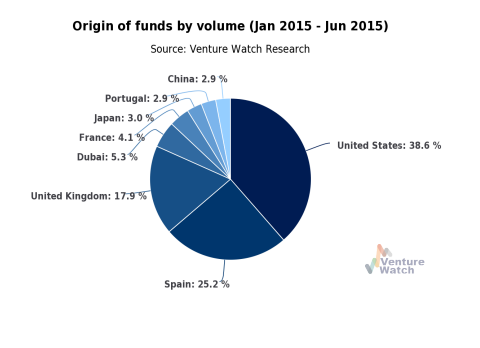 US and UK-based VCs have accounted for more than half of all euros invested in Spanish startups. Again, this is closely related to the fact that growth capital in the country is less than abundant and when companies reach certain size, they often knock on the doors of foreign investors. The cases of Wallapop, Digital Origin or Kantox are clear examples of this. On the other hand we have Jobandtalent, which has become the largest local startup to have only raised Spanish capital. Tracking startup acquisitions is always tricky, since the most interesting details of these deals are often not disclosed. However, exits are what really move the needle and, sometimes, create wealth for founders and investors. Rocket Internet bought La Nevera Roja for €80 million in February. LNR’s two co-founders have already left the company and are working on a new fund and startup. We did an interview with co-founder Iñigo Juantegui to talk about the deal. Apax bought a controlling stake in idealista, reportedly valuing the company at €150 million. Bodas.net got acquired by WeddingWire, apparently for €50 million. Mitula acquired Lokku (Nestoria). Early this week Mitula IPO’d in the Australian stock market, valued at more than €100 million. eShop Ventures acquired El Armario de la Tele and Nonabox. Not much money was involved in either deal, according to sources. BeMate bought Alterkeys. Same as above when it comes to price. Ticketea was able to grab the remaining assets of TodayTickets, a small German startup that was close to shutting down. LivingSocial got rid of Letsbonus. SinDelantal Mexico, backed by Madrid-based Seaya Ventures and co-founded by Evaristo Babé and Diego Ballesteros, was acquired by Just Eat. The two had previously sold SinDelantal Spain to Just Eat. Percentil acquired by Germany’s Kirondo to expand in the country. Car sharing startup Amovens got bought by GoMore. Sevilla-based ClinkerHQ got acquired by Cloudbees. These are some additional relevant articles that we’ve published over the past few months. 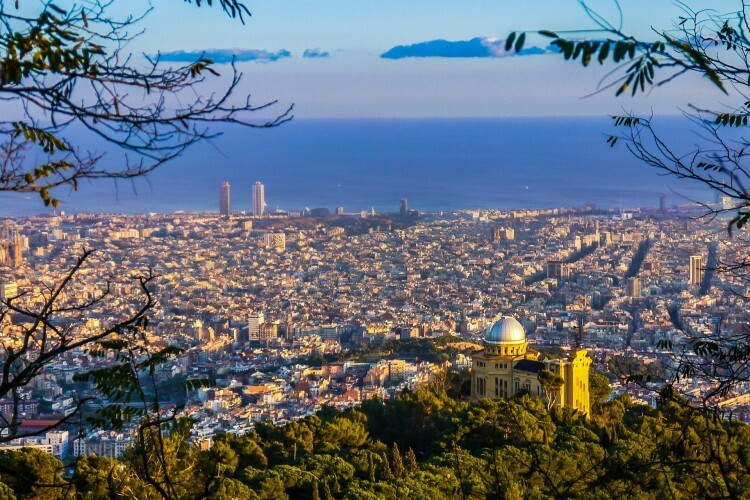 Barcelona’s startup ecosystem is bigger than Madrid’s. But does it really matter? Post-mortem: why did RiderState fail? 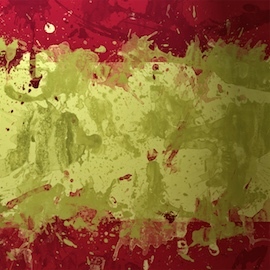 Alierta wins, Pallete does not: what’s the future of Wayra? Jaime Novoa is the Founder of Novobrief. He is a technology writer turned investor at Madrid's K Fund. He was also a data analyst at Tech.eu.